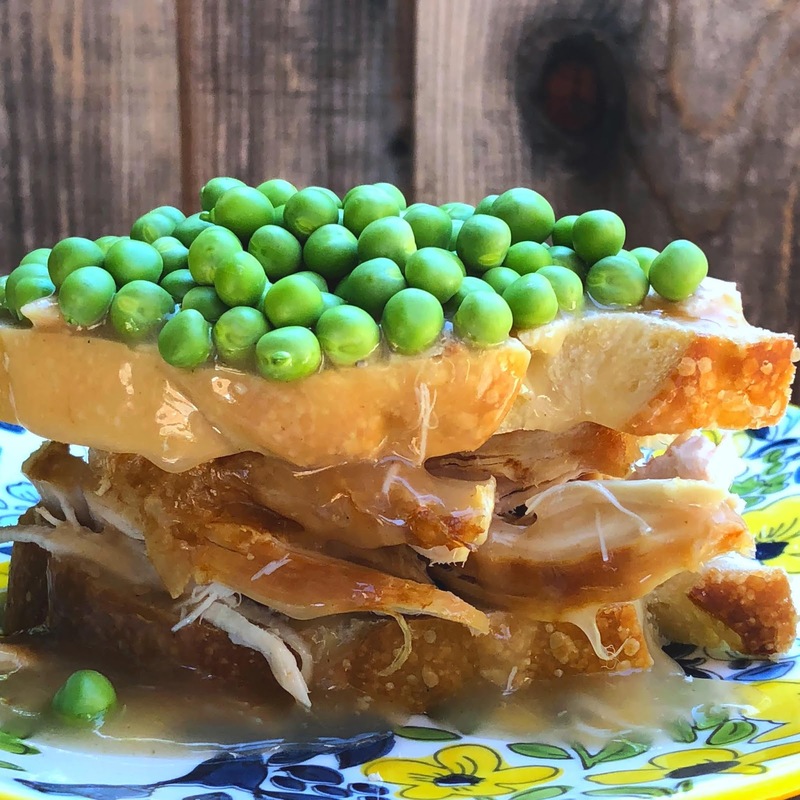 Jac o' lyn Murphy: Thanksgiving Leftover Sandwich, Yes "Peas"! 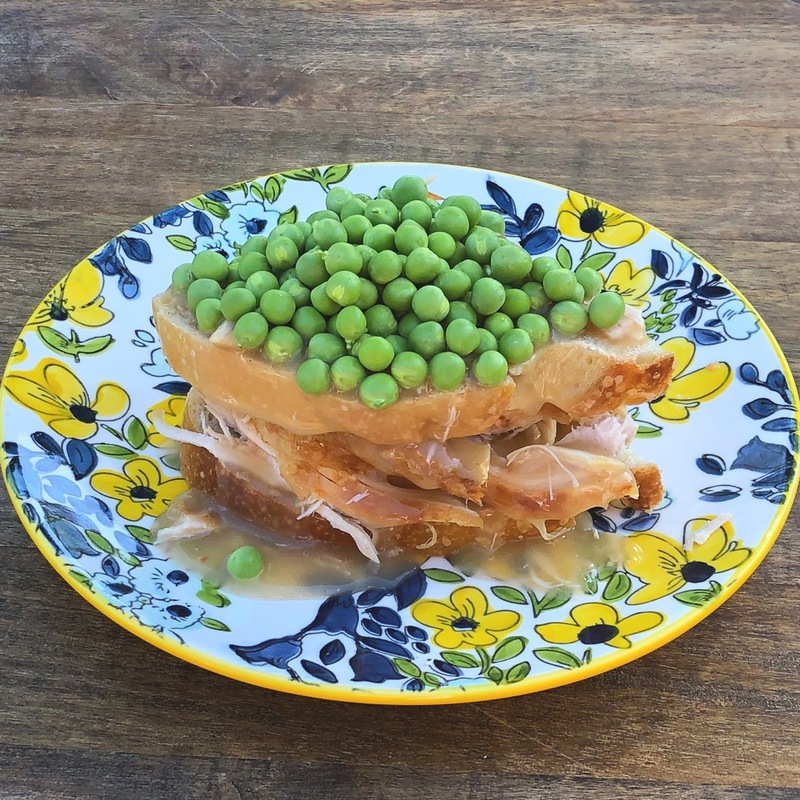 Thanksgiving Leftover Sandwich, Yes "Peas"! 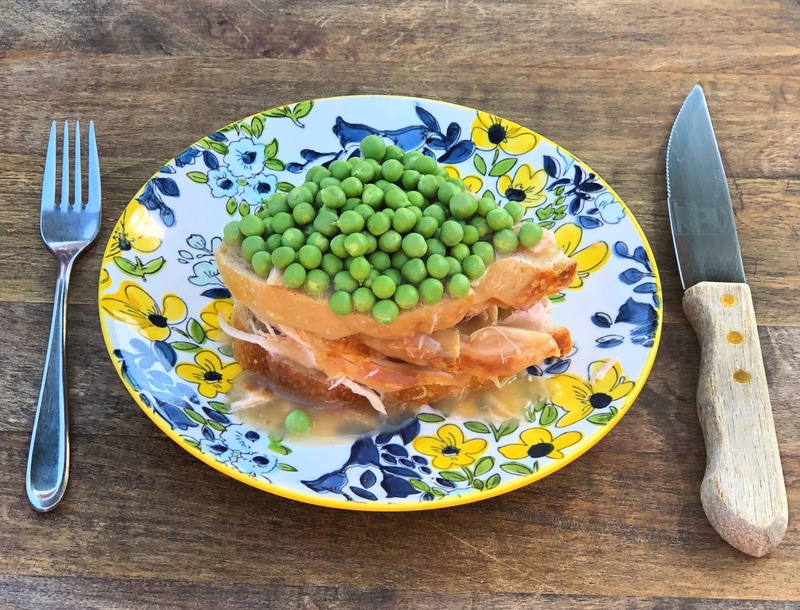 Thanksgiving leftovers are almost as important as the big feast. 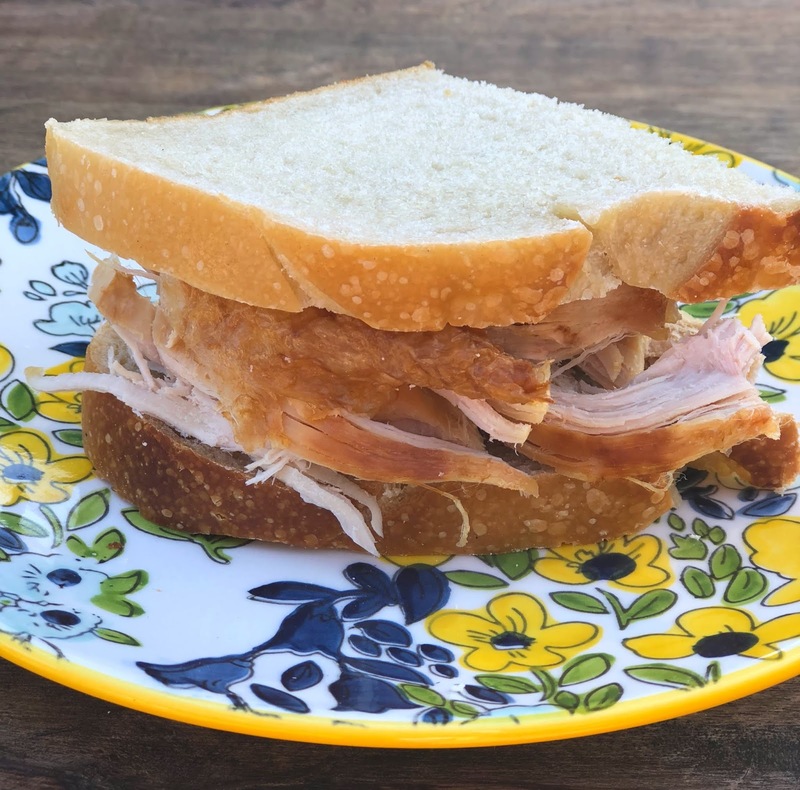 There is nothing better than a fresh turkey sandwich. made from all of the love that went into dinner the night before. Matty Matheson, A Cookbook, I knew it was the perfect idea for our next day dining. and finish it off with peas! Meanwhile, pat the turkey necks dry and cut into 2-inch (5 cm) portions. (You can cut right through the vertebrae.) Season with salt and pepper. In a Dutch oven, heat ½ inch (12 mm) of oil over medium heat. Cook the turkey necks until they’re nice and dark brown on all sides. Remove and set aside. To the same pot, add the onion, carrot, and celery until they’re cooked down, then add the tomato paste; cook for 5 minutes, stirring occasionally. Place the necks back into the pot and add the stock and bay leaves. You can add parsley and thyme as well. Bring to a boil, skim the scum that rises with a ladle, and turn the heat to low; braise for 2½ to 3 hours. Once the meat on the necks is fork-tender, remove the necks and strain the stock into a large container; refrigerate overnight. The next day, pick the neck meat off the bones. 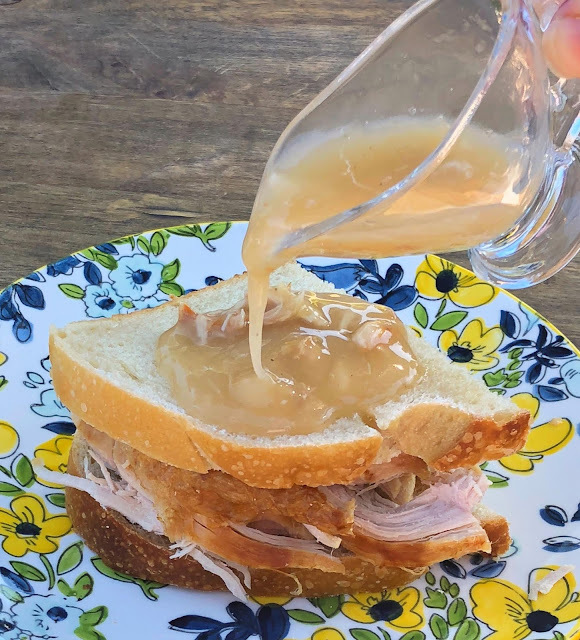 Make the gravy: In a medium saucepot over medium heat, cook the flour and butter until golden brown, stirring constantly, 10 to 15 minutes. Add 4 cups turkey stock from the necks. Thinly slice the turkey breasts against the grain. Place one slice of bread on a plate, then top with 3 slices of breast and 2 heaping tablespoons of the cold braised turkey-neck meat, then 3 more slices of breast. Push down on the meat to compress. Pour hot gravy over the entire sandwich. 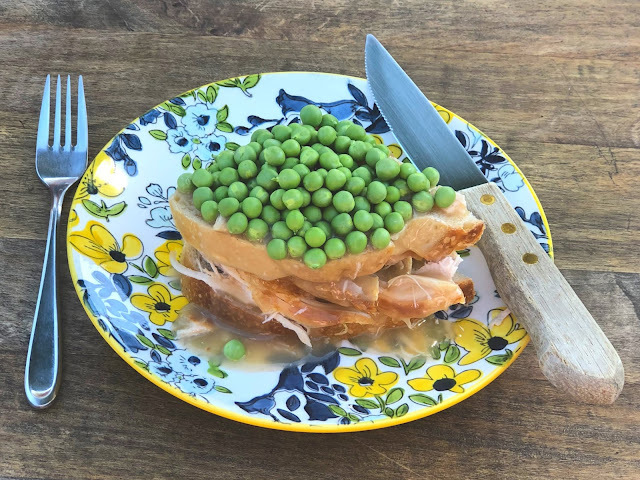 In a medium saucepan, warm the peas with just a little butter and water; season with salt. Spoon a big pile on top of your hot turkey sandwich.